What does “safe water” mean to you? For most of us, it means water that won’t make us sick if we drink it. To many Somali women and their children that’s only half the story, since fetching water is as dangerous as drinking it when it’s contaminated. Mercy-USA believes that by helping rural and urban communities with the basic of life­—clean water, we can make positive contributions to the entire country’s steps toward stability and a resurgence of prosperity. Safe access to clean water improves the lives of an entire community but most of all, it improves the quality of life for women and girls, as the chore of fetching water falls on them in this traditional society. The story of Ibada, a 38-year-old widow who lives in Misra Xaraare an agricultural village in Middle Shebelle Region is one example of how safe access to clean water can help facilitate small steps toward a more educated and successful family despite great challenges. Ibada and her children have a better chance for a successful life with the addition of a Mercy-USA well in their village. Her daughters now have time to study and Ibada doesn’t worry about them falling sick from contaminated water. Clean water is life for a family in rural and urban areas, and it’s not a difficult problem to solve. 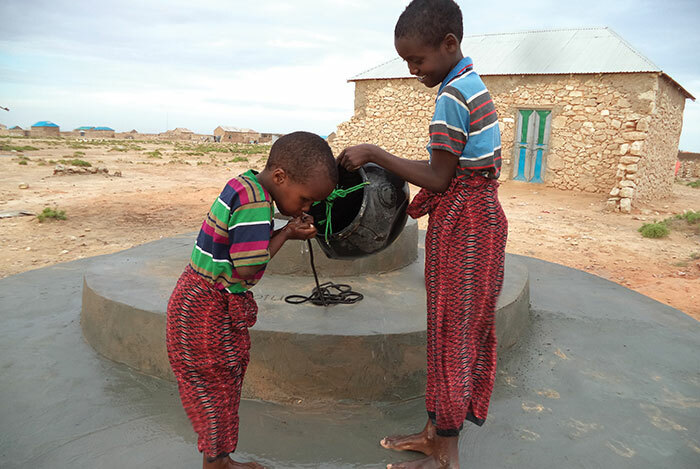 Our donors have helped us build approximately 600 wells in communities across Somalia. As Ibada reminded us, “My daughter will now concentrate on her education. Many times I had to cut her studies short because water was a higher priority for us.” Now Ibada can improve her business, care for her younger children and make sure all her daughters get the education they need to do even more toward a healthy family and a thriving community. Well construction, conducted by Mercy-USA with funds provided by private donations, has changed the lives of tens of thousands in Somalia. A nearby well gives time and safety to women and gives their daughters the same opportunity existing for education that their sons enjoy. 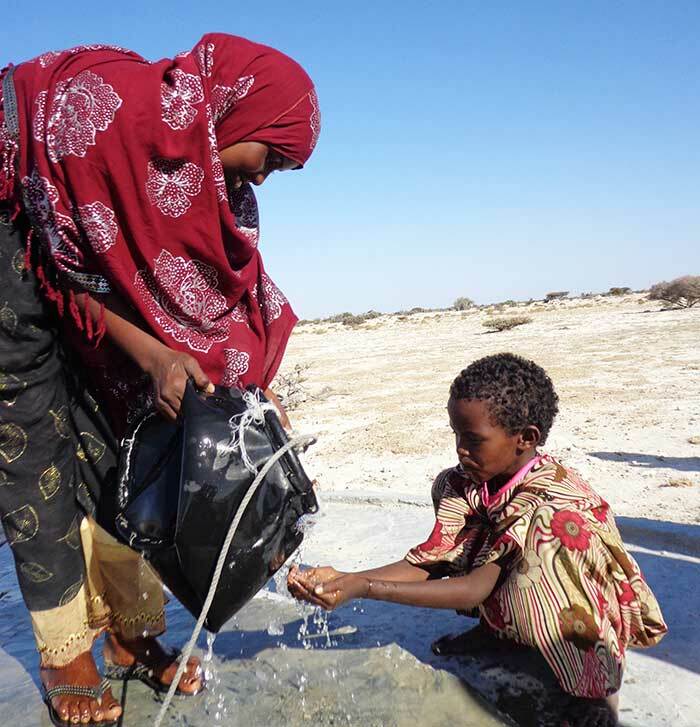 According to UNICEF research, only a third of Somali families have access to clean drinking water. Since 1997, Mercy-USA has played a vital role in providing safe drinking water in Somalia, digging and repairing about 600 wells. Communities with a combined population of over 700,000 persons are benefiting from this safe water program. Sponsor a well with a lump sum donation of $3,500 ($4,700 CAD) or spread out the payments over 12 or fewer months. Enlist friends or family to join you in funding a well in the name of a loved one; your community; school; or youth group. Your gift of any amount will go toward safe water for Somalia. 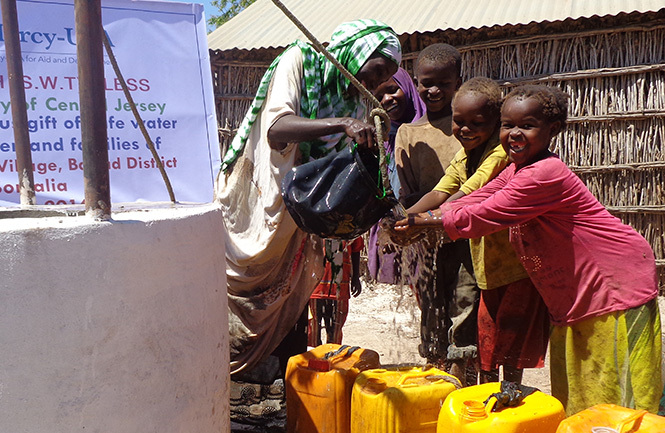 Your generous charitable gift supports Mercy-USA’s work to bring clean water to Somalia.